You’ve likely planned out the major components of your next home remodel, but have you really considered how the small details will impact this project? Small exterior features, such as your home’s siding, are tiny components that make a big difference. Instead of using just any material for your home’s new siding, have a contractor install insulated vinyl siding on the outside of your house. Whether you live in St. Paul, MN; Minneapolis, MN; or elsewhere in the surrounding region, you’ll find no better expert than Beissel Window & Siding. You’re likely familiar with vinyl siding and how this material looks and feels. As great as traditional vinyl siding is, you want something that gives you more bang for your buck. Unlike traditional vinyl siding, insulated vinyl siding offers unique benefits. Energy efficient. Most insulated vinyl siding boards have an R-value of 5 or higher, ensuring your home doesn’t leak air or let outside air in. Stylish. This siding material comes in dozens of colors, finishes, and styles, which means that you improve your home’s exterior aesthetic in one installation. Durable. 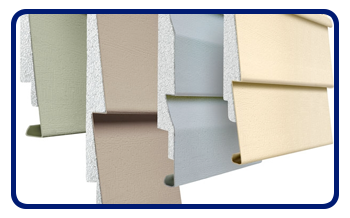 Insulated vinyl siding can withstand extreme seasonal weather, high temperatures, and strong winds. It also resists insect damage, rot, water damage, mold growth, and sun damage. Should the material get hurt, it is incredibly easy to replace. Insulated vinyl siding is also longer than traditional panels. This length allows our contractors to install it more easily and keep your home’s exterior looking clean, neat, and straight—with fewer seams along the walls. We’ve provided siding installation and repair services to Minnesota homeowners since 1950. We keep your personal preferences and best interests at heart as we install siding on your home. We strive to keep you satisfied and informed throughout the process so you can always rely on us. Our company is based in West St. Paul, but we’re happy to serve homeowners throughout the area. No matter where you live, we’ll come to your home and install the siding you need to enhance your home’s exterior. Give us a call at 651-451-6835 today.